An architecturally designed and private 2 storey deluxe spa villa overlooking Doctor's Gully, and with stunning views to Wombat Hill and Mount Franklin. As one of a group of 6 spa villas, the property offers flexibility for individual and group accommodation bookings. Enter the villa via a long boardwalk to the upper floor open plan living area, modern kitchen and elevated deck. Downstairs is dedicated to a spacious bedroom and luxurious bathroom, with a private deck. Inspections are by private advance appointment only. 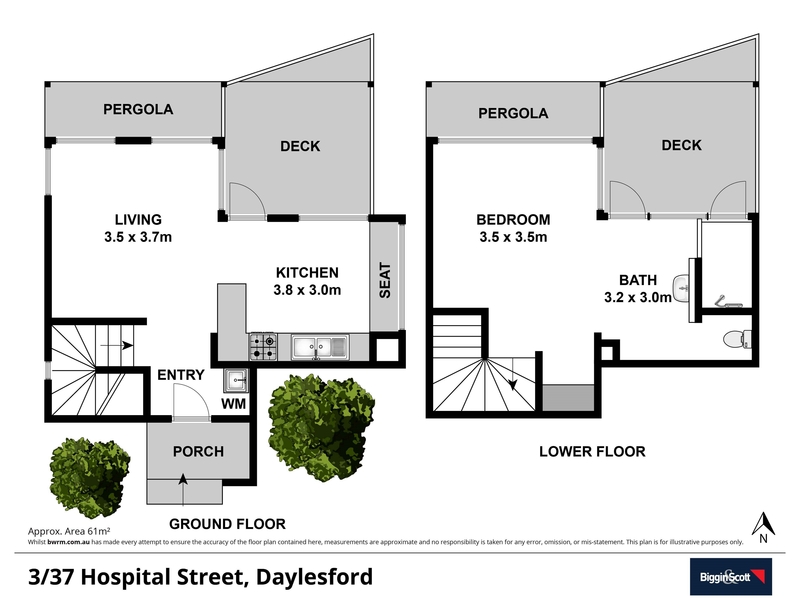 •	Central Daylesford position - a short stroll to the cafes, restaurants and shops of the main street of Daylesford.